Due to the exponential it is very unreliable to predict how media will be used tomorrow. Examining the spotty record of past predictions is humbling and helps open our minds to the future. 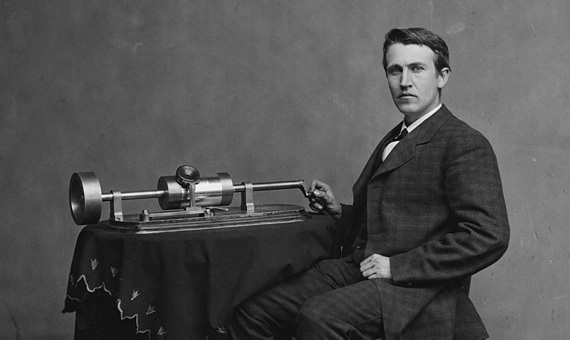 In 1878, the year after he invented the phonograph, Thomas Edison had no idea how it would be used; or rather, he had scores of ideas—but he could not come up a priori with the killer application of his hardware. Phonographic books, which will speak to blind people without effort on their part.